These cages will NEVER hold another scared, abused dog. 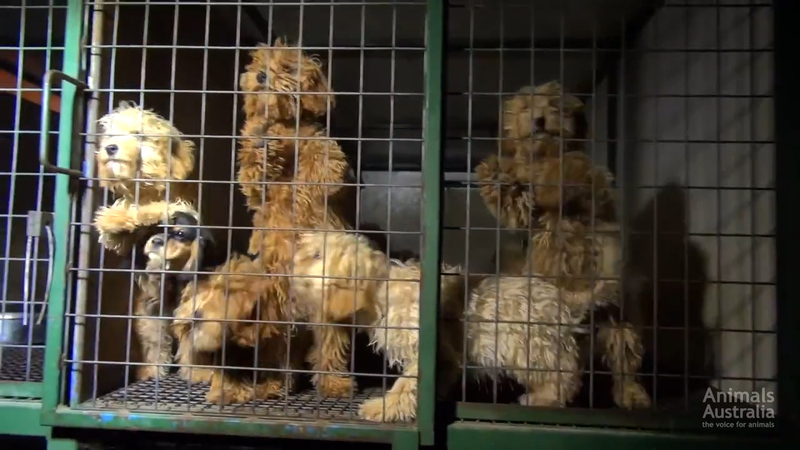 UPDATE 24 Sept 2015: Pyramid Hill puppy farmers found guilty of 240 animal cruelty offences are fined a total of $205,000 and receive dog breeding bans! 'Pyramid Hill' was known to be one of Australia's most notorious puppy factories. 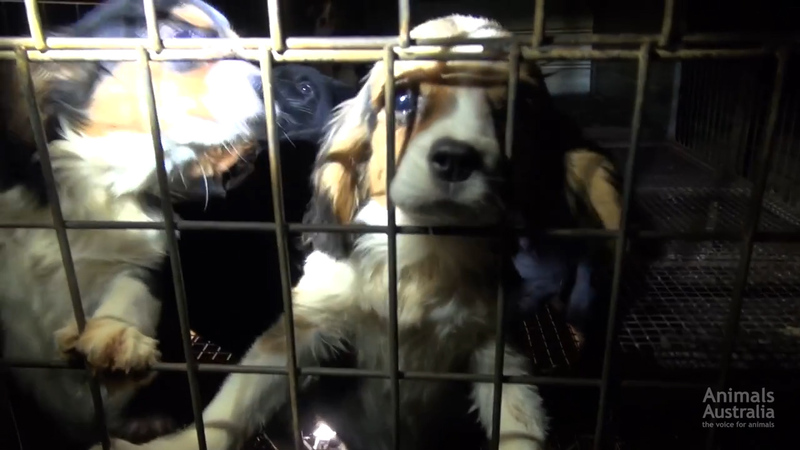 Operating under a veil of secrecy, for years puppies were pumped out of this facility and sold to unwitting buyers. It took the brave and painstaking actions of our highly skilled investigators to obtain the very first images from inside this hell hole. Without these critical images, Pyramid Hill would still be in operation today. Based on Animals Australia's evidence, RSPCA Victoria was able to mount a major investigation of their own, leading to a landmark court case. Yesterday, the owners of Pyramid Hill puppy factory pled guilty to 240 charges of animal cruelty. 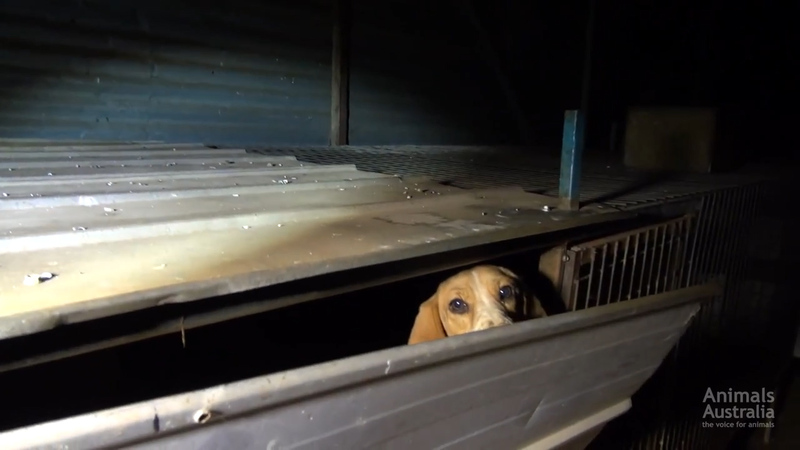 These shocking investigation pictures reveal just how appalling living conditions can be inside Australian puppy factories — where dogs are valued only for the number of puppies they can produce. 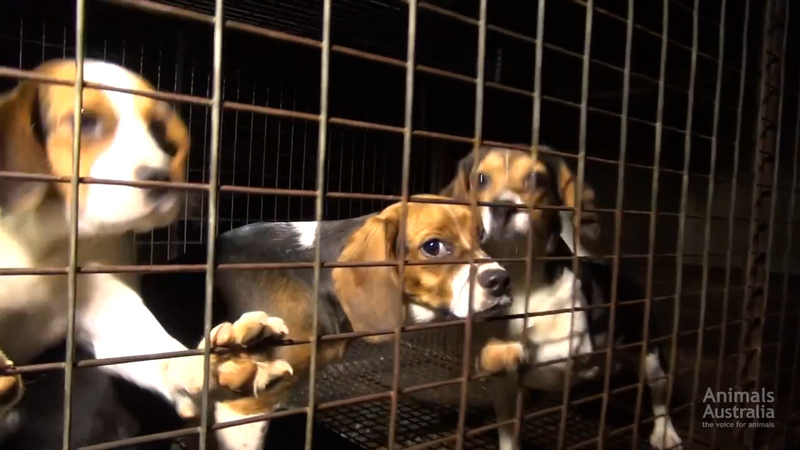 In Pyramid Hill, these dogs were denied everything that is meaningful to their lives. They were forced to live their lives trapped in raised wire cages. Many rescued dogs exhibited nervous conditions and lived in a perpetual state of fear brought on by years of abuse. 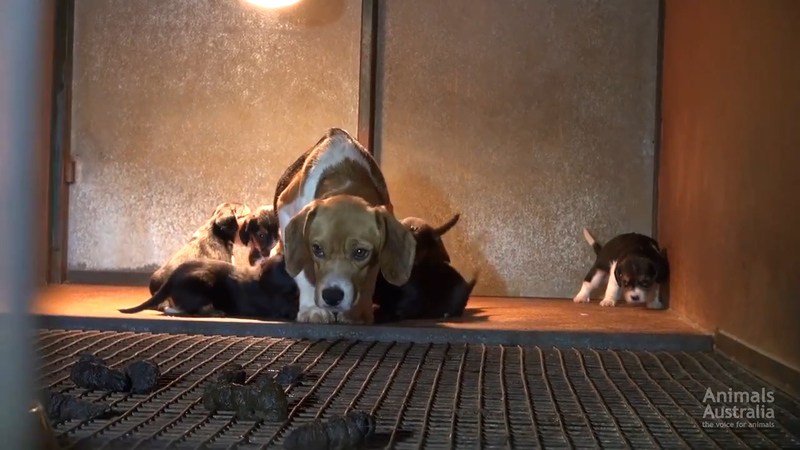 In a puppy factory, these beautiful dogs were never given the chance to learn to ever be a dog. They had never known kindness, comfort, love, or companionship. 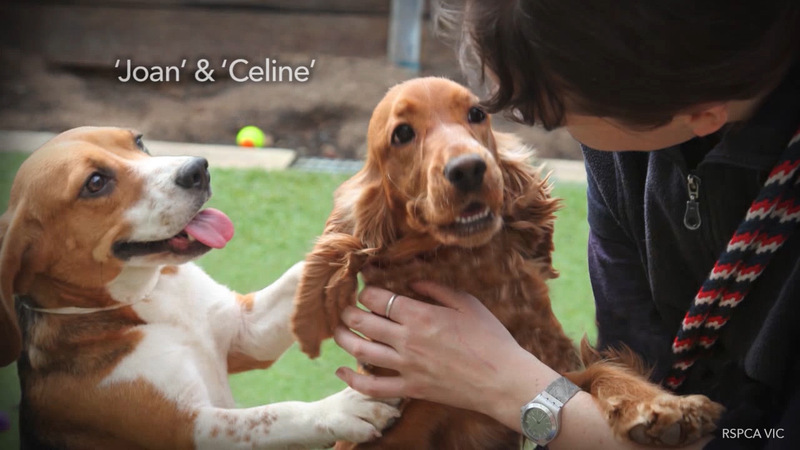 They required months of love, patience and rehabilitation to learn to trust again. Thanks to the dedicated staff at RSPCA Victoria, many of these dogs were given a second chance, and eventually found their forever homes. This victory is bitter sweet, knowing that Pyramid Hill is just one puppy factory among hundreds. Today, the animals won. Help make every day a triumph over animal abuse. Fight cruelty. Save a life. Adopt.